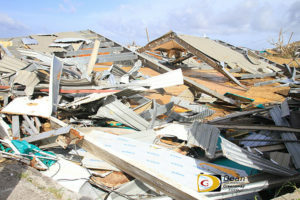 The Belle Vue Gym sits in a pile of rubble after being blown down by Hurricane Irma on September 6. 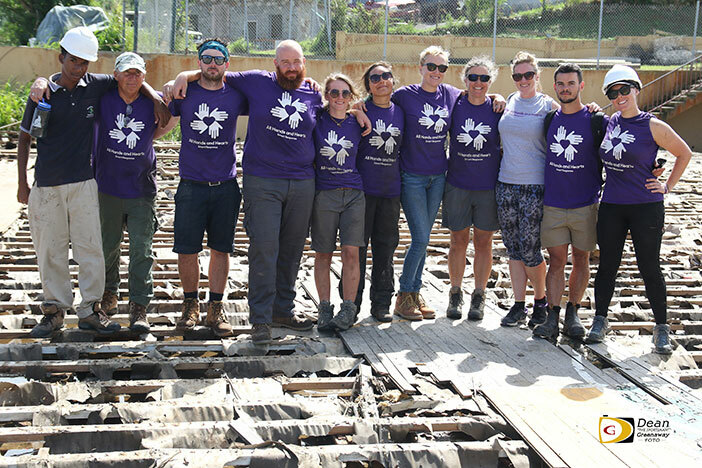 A pile of steel rubble that was once the Belle Vue Gym, which came crashing to the ground during the passage of Hurricane Irma on September 6, 2017, has been cleaned up by an international cast of volunteers hailing from Europe, Australia and the USA, representing the Nonprofit Organization, All Hands and Hearts, who have spent the last two weeks removing the contorted steel and parquet floor. 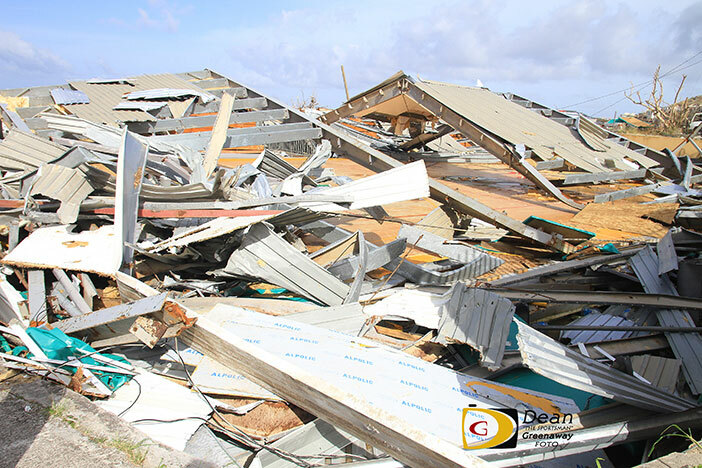 Belle Vue resident Sherwin Fahie said he was glad to see the debris being cleaned us as the facility had been there since he was a youth. The facility that has housed Volleyball and Basketball Federations games and practice matches when both bodies hosted regional tournaments, also served the Belle Vue community as a recreational center. All Hands and Hearts Project Development Manager Stephanie Wood, explained that they began working with UNICEF and ANDRA and UNICEF was funding a cash for work scheme with ANDRA and using them as an implementation and cleanup partner for the initiative around six of the territory’s schools. She said while they collaborated with them to extend the project, they cleaned up debris around several schools, fixed fences and drainage initially. Wood said initially they had 10 volunteers and there’s an agreement with the All Hearts and Hands volunteers in St. Thomas, who have 70-80 volunteers on projects there since September, for the 10 to come to the BVI on an as needs basis. 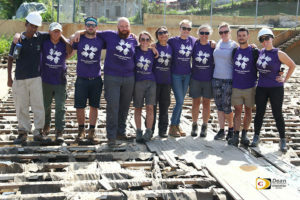 However, they are now operating as their own program and can invite volunteers from around the world, as opposed to being a satellite project from St. Thomas. Benjamin, an Elmore Stoutt High School 10th Grader said someone told him about it and he needed a project to go towards his 120 hours of community service. 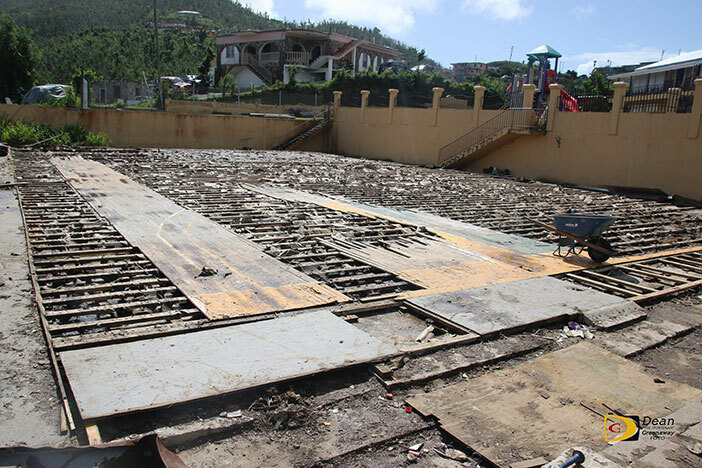 With the facility in close proximity of the Joyce Samuel School, the original plan Wood said was to clean up the debris because of health concerns as people were bringing cars and everything else there, became a health and safety concern for the school. 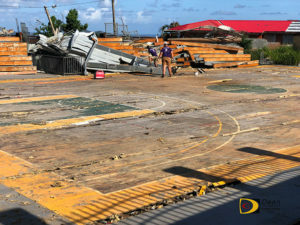 She said if they can find rims or material on the island, they want put two basketball courts on the existing space.